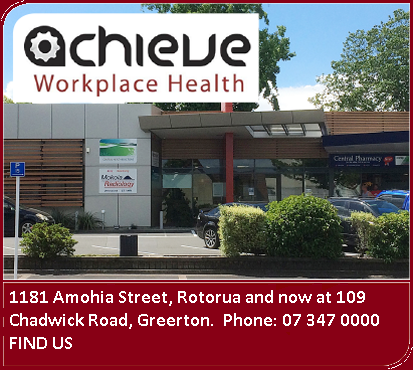 Achieve Workplace Health provides specialist occupational medicine and occupational health nursing services. We can assist your work place to meet all legal obligations under relevant workplace related Acts, and to keep your workers safe and healthy. Dr Cheesman is a Fellow of the Australasian Faculty of Occupational and Environmental Medicine of the Royal Australasian College of Physicians. He provides opinion on fitness for work, rehabilitation after injury or illness. He has experience in working with a broad range of industries including oil and gas, pulp and paper manufacture, service industries and rail. He also undertakes medicolegal assessments and holds contracts to undertake ACC assessments to assess fitness for work and for impairment assessment using the AMA 4 Guides to Permanent Impairment. each have experience working successfully with local, national and international businesses. We are able to help your organisation or business with workplace practices, improved employee health, reduced absenteeism, reduced injury rates, and rapid return to work for employees. ACC Medical Assessments including Impairment Assessment, Initial Medical Assessment and Vocational Independence Medical Assessments. We are an Approved collection agency compliant to AS/NZ4308:2008. Raewyn Simpson, Sheryl Rumbal, Katrina Bott and Shayra Antolin are all approved collectors and are all NZQA accredited. We can provide alcohol breath testing and instant and laboratory drug testing which meet the AS/NZ 4308:2008 standard of compliance.